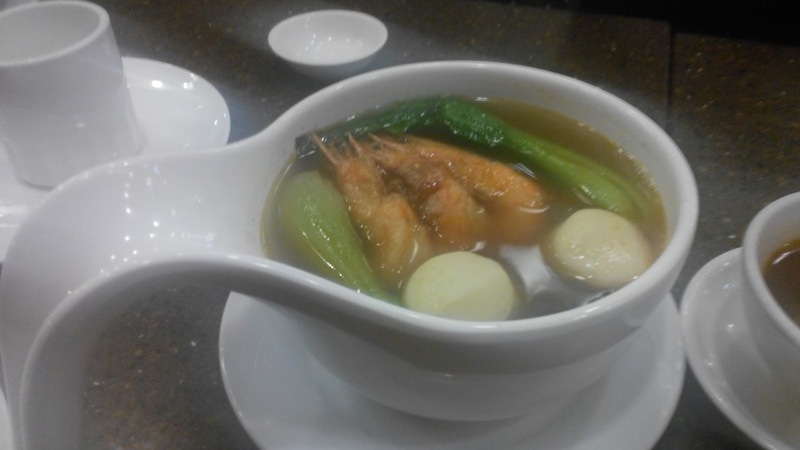 It was one of those gloomy afternoons when I got to King Chef Dimsum Kitchen in Banawe. In just a short while, the place was jampacked with patrons who'd been availing discounted dimsum during their 2-5PM promo hour. Who needs a fussy recipe when there's a mountain of dimsum to get through? We were served the house tea as soon as we sat down. This is one of those Zomato foodie meetups that I always look forward to. 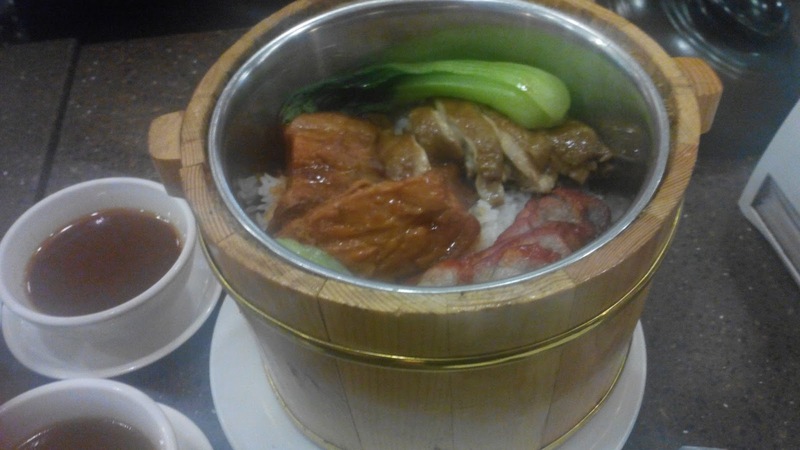 I am part Chinese and so I crave for the classic Chinese flavors often. Seldom do I get satisfaction from dining in at commercial establishments that offer such authenticity. Our complimentary meal started with dimsum samplings that include Hakaw, Soyed Wanton, Beancurd Roll, Pork Siomai, Beef Siomai and Sharksfin Dumplings. These delicacies are crowd-pleasing party snacks that perfectly starts a casual dining experience. Though I am partial to Hakaw (as it is one my favorites), I also found their take on the Fried Prawn Dumpling superb! The first bite was an epiphany! We were also served Duck Wanton, Taosi Spareribs, Dynamite, Mango Balls, Pumpkin Balls plus the Malay Cake. These hors d'oeuvers were enough to satisfy anyone's cravings. Aside from the Fried Prawn Dumpling and Hakaw, my other two favorites were Congee and the Barkada Bucket. King Chef Dimsum Kitchen gives you the freehand to choose your toppings for your congee order. The hefty congee feast that they served lobster balls, pork meat and stomach, tendon, chicken plus abalone strips. Each blended well to complement the otherwise plain congee. The Barkada Rice Bucket is steamed rice served with pork asado, braised pork, and soy chicken on top. If you are unsure which to order, this is a good sampler to taste their meaty options. Your family will sureIy love it like I did. Visit them for a good dimsum feast! 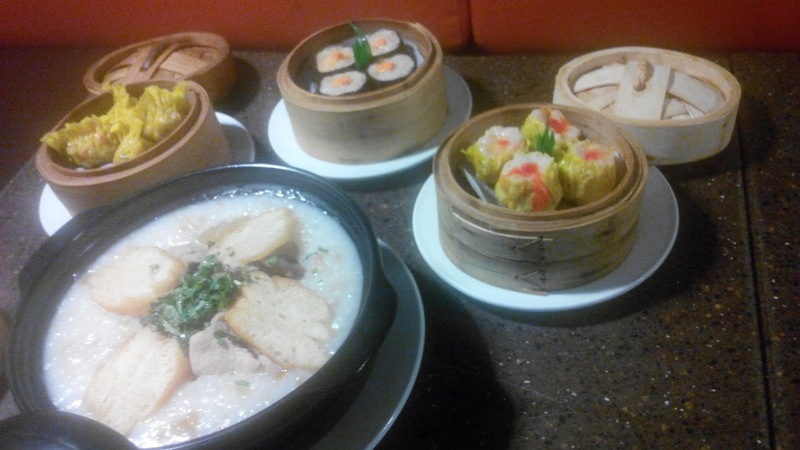 If you can have enough of the King Chef Dimsum Kitchen's short orders and dimsum offerings, you might want to dine in at the other King Chef Banawe branch which is particularly strong on Chinese banquet cuisine. You''ll never go wrong with their good meals.